Today's giveaway is perfect for mommies and grandmas of little girls! Let me introduce you to the Craft Anyway! shop. This yellow ricrac flower headband is so sunshiney and happy. I love the argyle button on this white ricrac headband. I would wear this one in a heartbeat! This pink and purple headband screams all girl! If you want to go ahead and purchase headbands from Craft Anyway!, use code "oopseydaisy15" at checkout. You can get an extra 15% off all the way through September. 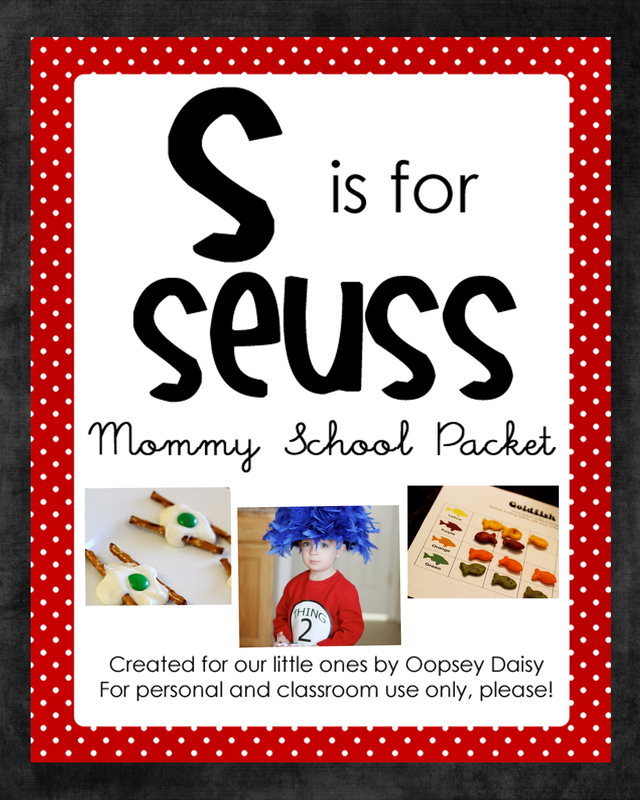 What a fun gift for a little girl! And remember that you can customize a headband to match an outfit! Genius. PLUS Trina is also giving away 3 custom headbands! How cool is this?! You can customize your own headbands with your own little girl in mind! 1. Visit the Craft Anyway! etsy shop and describe a custom headband you would love to win. Let me know in a comment. 2. "Like" the Craft Anyway! Facebook page. Trina is just getting her Facebook page started--so go show her some love. Let me know in a comment. 3. 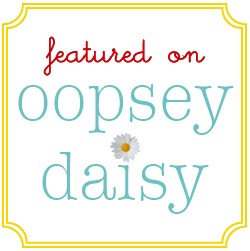 Follow Oopsey Daisy or let me know that you already do. This giveaway will end on Wednesday, August 31 at midnight. As always, giveaways will be announced via Facebook and Twitter and winner will be e-mailed directly. Good luck my friends! I can't wait to see who wins these cute headbands! I would love the yellow ricrac flower w/ the black headband! 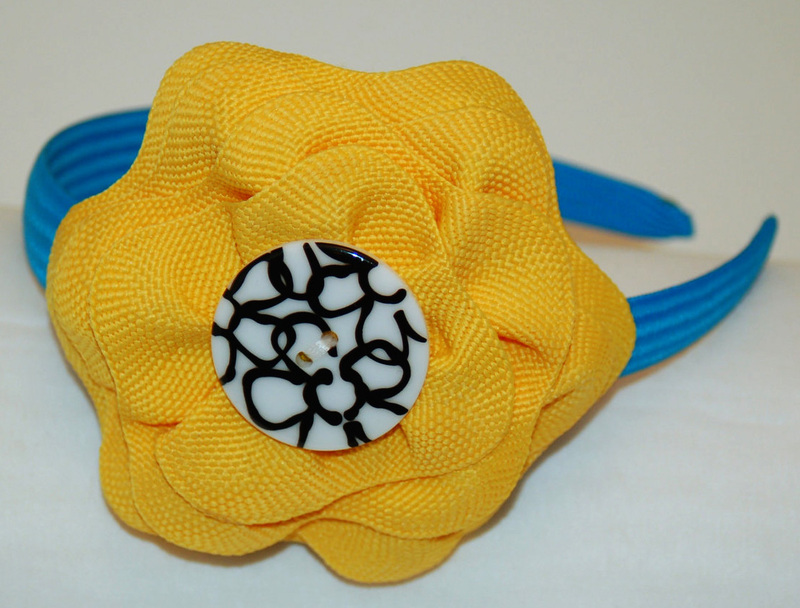 LOVE the colors of the “Yellow Ric Rac Flower with Black and White Button Center and Wide Turquoise Headband”!!! That pink zipper ower headband is adorable! I would love the White and Orange Zipper Flower Headband or something similar for Halloween! I think a black headband with green ric rac flower and a orange button would be great for fall! liked her on facebook and left some comment love under the name Kelli wood! my favorite is the bright green and pink flower! I would love to have a cream and brown headband to match one of my daughter’s dresses. Love them! I already follow your blog and love it! I would like a black headband with a white flower and a red button. I like craft anyway on fb. I love the zipper headbands! I think the orange flower with black button for halloween is darling! I “liked” Craft Anyway on facebook. I would love a yellow flower on a blue band with a fun print button! The white flower headband is super cute too! 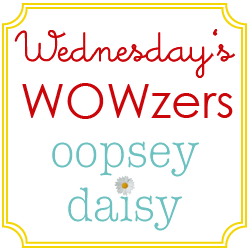 Heck yes I follow Oopsey Daisy! I follow your blog and eagerly await each post! 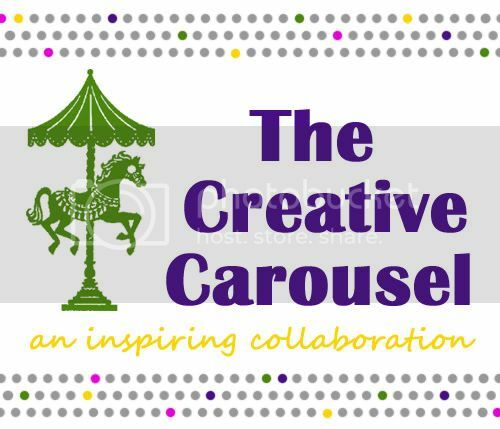 I’d love to win the turquoise and purple ric rac barrette for my little girl. I really like the Yellow Ric Rac Flower with Black and White Button Center and Wide Turquoise Headband!! It’s soooo cute! Now a “true” follower of your blog. Have had you in my Google Reader for quite some time, but hadn’t actually became a “follower” of the blog. I love the Light Pink Ric Rac Flower with Bright Pink Button Center Headband! Super cute stuff! New fan of Craft Anyway on FB! 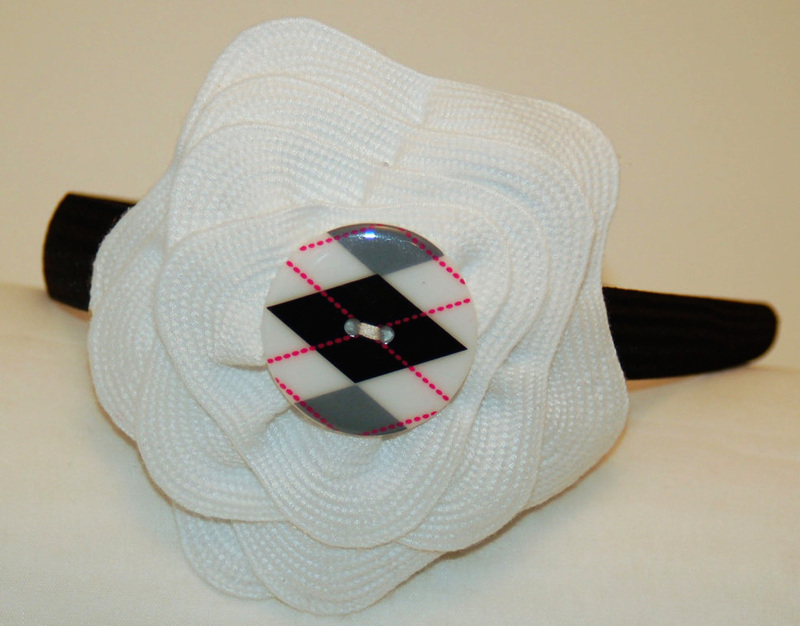 I am loving the White Ric Rac Flower with Black Button Center Headband! I like Craft Anyway on Facebook! The yellow headband with a black/white button on turquoise headband is adorable! Thanks for the chance to win. I would love the black and white one with the argyle button! Love the bright green with red button. Oh those are all so cute! But I do like the Halloween colored one, very festive! I love the Bright Green and Pink Ric-Rac Flower Barrette. So cute for my baby girl! Love these headbands! So cute! 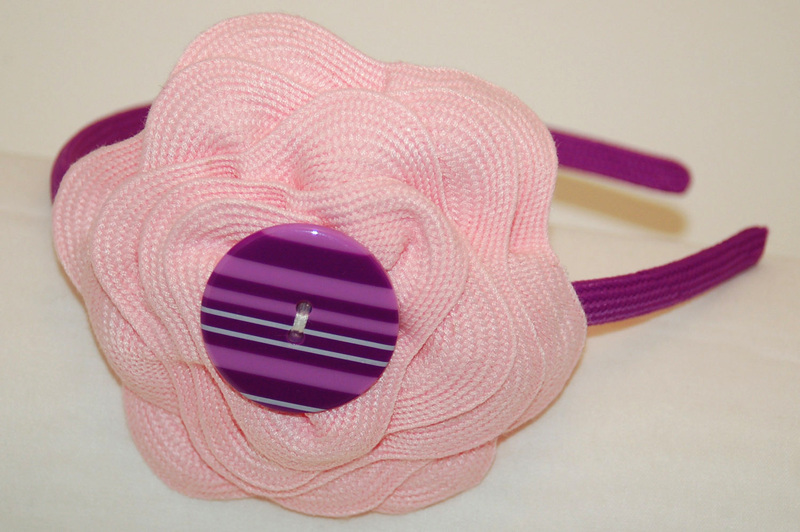 I love the Light Pink Ric Rac Flower with Purple Striped Button Center Headband. I love the Yellow Ric Rac Flower with Black and White Button Center and Wide Turquoise Headband! I just found your blog!!! Such cute stuff ~ you are SO talented!!! I am now a follower & would love some super cute new headbands!!! I like the light Pink Ric Rac Flower with Bright Pink Button Center Headband. I love your site. I just started doing the mommy school with my girls and we love it. thank you. I am a your follower. I visited Craft Anyway! etsy store. She has some adorable flowers. If I had a choice, I would choose a turquoise ricrac flower with either, a black & white polka dot or squiggle-line design button, on a mini barrette. Thanks for the opportunity to win something! I love the white and orange zipper flower headband! Love the Pink Zipper Flower Headband! I’d love a red blue headband with a red flower and a white button center to match the Cleveland Indians! Black headband, green ric rac flower, and white button.